The Manos brothers are the sons of Greek immigrants living in Toronto. Zach, the eldest, is determined to live the North American dream, complete with a gorgeous wife, a beautiful home and a successful career in high finance. Costa, charismatic and rebellious, has chosen a different path. A high school drop out, he uses his street knowledge to maneuver through life. Zach and Costa are poised to begin their lives as adults when an expected knock at the door of the their sprawling suburban home shocks the Manos family into a new reality. Forcibly removed from their home and all their possessions seized, each member of the Manos family must now find his or her own way to pick up the pieces of a shattered family existence and forge ahead. While Costa buries himself in work in Toronto, Zach, now disillusioned with his life in Canada, returns to the land of his family's origins. 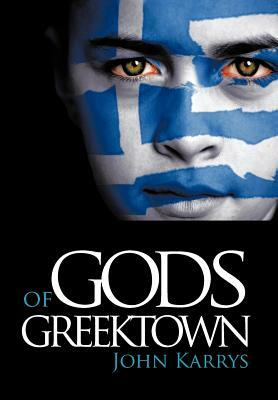 In the tiny and idiosyncratic rural village in Greece, Zach embarks on a journey of self-discovery that will lead him to unearth the truth about his roots, his family's homeland, and the horrible string of crimes perpetrated throughout the world of the Greek Diaspora. With the help of an old family friend with a mysterious past, Zach and his family begin to unravel the tangled web of misdeeds to its source. Together, in a quest for justice, they orchestrate a shocking revenge upon those who had considered themselves too high to fall.